Hello on my last day of my 52Quilters week 40 takeover. I really enjoyed sharing the week with you. I love the quilting community. Everyone is willing to share their knowledge, they take you in as though you are family, share your quilting accomplishments and also are extremely compassionate and caring. I lost my husband in June of 2015 in a car accident and at a time when I did know how I was going to go from one moment to the next, the quilting community was there. Quilting, crafting and being able to create was my therapy. 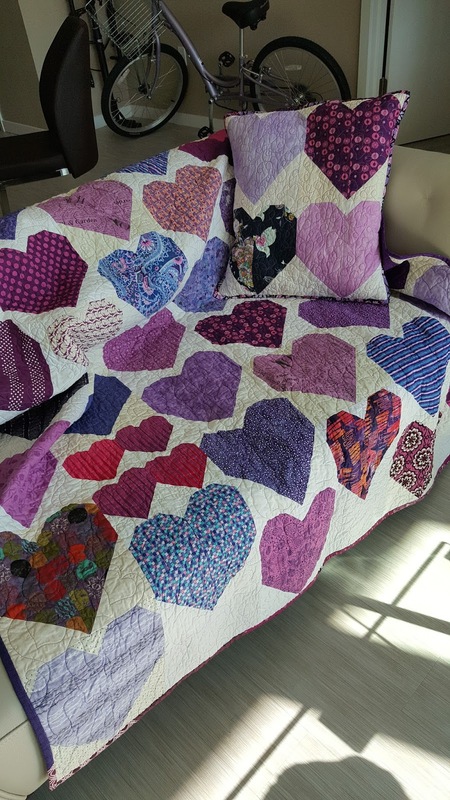 My Detroit Area Modern Quilt Guild family got together, created heart blocks and presented me with this quilt. Visual evidence of such a wonderful community. My creative partner create portrait quilts in memory of friends and family. 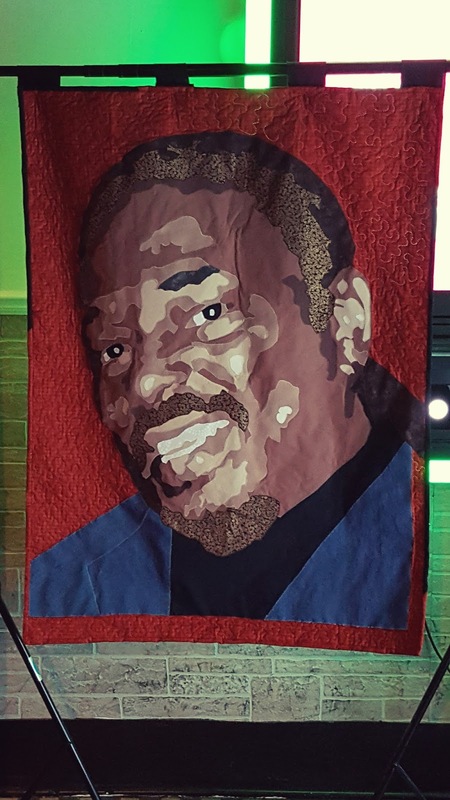 Here is a portrait quilt of a good friend that was given to his wife as a gift. 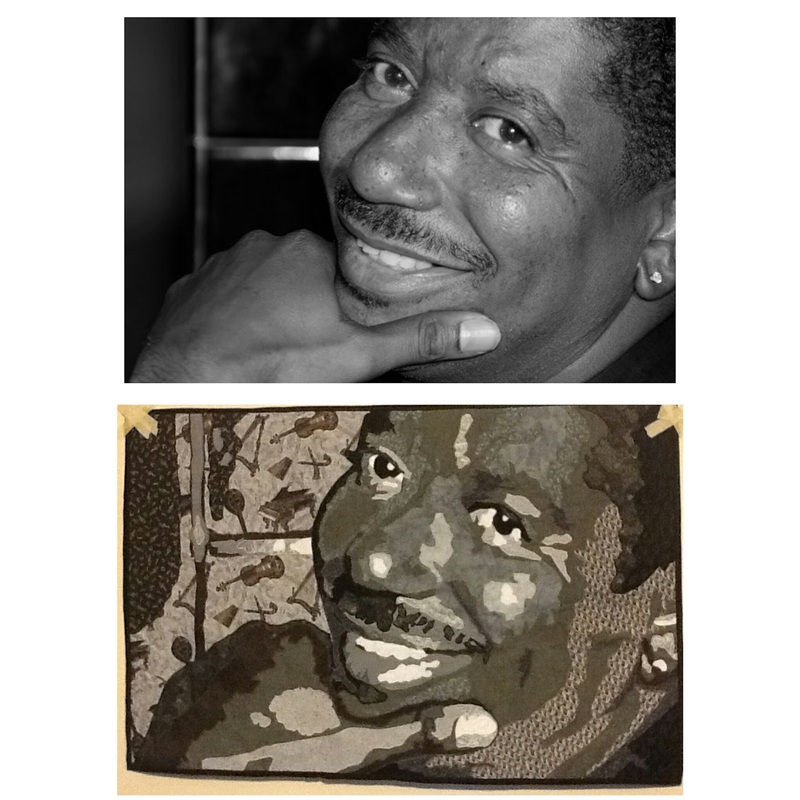 Here is a portrait quilt of my husband. Quilting has allowed me to express myself creatively but is also my therapy. I am thankful to be able to do what I love and have a passion for and the ability to share with others. Again, thanks for the opportunity to share with you this week.